Buying a car is no small deal, but we are here to guide you through the process as quickly and easily as possible. Our team will offer you top-dollar for your current car, whether you buy your next vehicle from us or not. Our service departments boast master-certified technicians and OEM parts to provide the best experience possible. Getting financed for your new Mitsubishi is easy. Fill our a quick and easy online application and get approved in minutes. AutoPROVED is a Allentown, Pennsylvania dealership that's proudly served the greater Allentown, Bethlehem, Easton, Whitehall, and Emmaus community since we opened our doors in 2013. Though many things have changed since then, we continue to go out of our way to please you. Stop by our 200+ vehicle lot today to find your next car! Whether you're looking for the hottest sports car or an affordably priced used car, AutoPROVED has a top-notch selection. You'll find all of the cleanest cars, trucks, vans, and SUVs. We carry all popular makes and models, along with access to over 50,000+ additional vehicles for you to choose from. Whatever kind of vehicle you need, we'll get you behind the wheel. After you've driven away from our store, you can always count on AutoPROVED for your service needs. Our service center is equipped with trained technicians and the latest diagnostic tools. The team we employ is completely familiar with the vehicles we sell and can easily repair and maintain them. 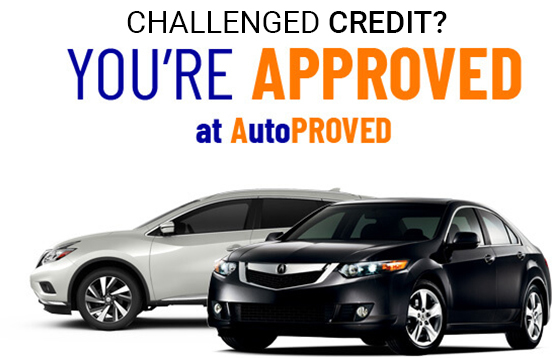 When you visit us, be sure to enquire about our AutoPROVED Guaranteed Approval Program. No matter what your credit situation is, we will get you behind the wheel of your dream car today.